I was on last summer’s college tour and I would love for you guys to know that I only wound up applying to University of Tampa for Film and Media Arts. I loved that University so much and it is all thanks to you guys at Grand College Tours. I’d also love to share the great news that on December 31st, I was accepted to the University of Tampa for Fall of 2010! I am sooo excited and I am definitely giving you guys all the credit on finding me the best thing that I could dream of. Hope all is well with you and your family. I just wanted to THANK YOU, again for the experiences that both of our sons had last spring. We have 4 children and it would have been next to impossible to tour all of the 14 schools that you have on your tour! By the time my husband and I took all of our kids to a college, tried to tour it, met with administration, had lunch on campus…..we never would have made it past 3 schools! Not only with scheduling, but the money to feed and house 6 people! Additionally, my husband and I already went to college, we did not want to tour 14 campuses, we are happy to just tour the college he got accepted to! The tour made our son apply to the colleges he liked. Our oldest, Anthony, applied and got accepted to FSU, USF, UCF, FIT, UT and UNCG in North Carolina. He made many of his final decisions by the results of his experiences on your tour! He will by starting FSU this summer! (Sorry about USF Seth, it was his second choiceJ) We will be touring the school later in March and are thrilled that we don’t have to go to 5 other schools on the list) His brother Daniel who was also on the tour is in 11th grade and already knows he wants to go to one of the private Universities in FL, so he has much of his leg-work already done. Thanks again and we wish you and your family well. Morgan had his heart set on Flagler before your trip and after looking at other options, he now sees that a University is perhaps a better fit than a ‘college’…either way, I could not budge him from this before your tour – although I love Flagler as well. As a parent, I can’t begin to tell you how much time and expense you saved us..and as a professional in the Education field, you were able to balance the delicate teenage line of learning about colleges and having a blast…I’m very impressed! Our daughter, Lola, is going into her Sophomore year at Gibbons and I definitely want her to take your tour. Thank you SO MUCH ! I’m only hearing wonderful things..and I already knew when I wasn’t getting texts back..that it was a successful trip! Just had to let you know what a great time Michael had with you on this trip. In fact, he asked if he could go again in 2yrs (his senior year) when his younger brother goes! You were great with the kids and they really did become one giant group of friends! Thanks for showing Michael a great time! Looking forward to seeing the pix. They planned every detail of the trip and was able to run the entire thing smoothly. We had chaperones on the trip and we did not have to worry about timing or planing or the itinerary. They were able to work well with the group of students and kept them engaged throughout the entire trip. They were able to emphasis the importance of these visits and learning about the school but also planned fun activities for the students at night. They were very flexible and made changes to our itinerary as we moved through the planning process. What our staff was most impressed by was the knowledge they had for the schools and the areas. They were wonderful leaders and made the trip stress free and exciting for both the chaperones and students. We look forward to planning a trip with them next year! The Florida College Tour was a perfect fit for our 9th-11th grade students. Within 24 hours, Grand College Tours sent a full itinerary and quote for the trip. I was impressed by their professionalism and the brochure that was sent was very well designed. They were able to customize some of the tour plans to include a faith-based school our students were interested in attending. My students gave me very positive feedback upon returning from the tour. I would definitely plan another college tour with Grand College Tours. Our group was impressed by the outstanding attitude demonstrated and comprehensive knowledge that our tour guide had in each of the college visited as well as the destinations on the way. Within the tour, we were able to experience different activities that also allowed the students to interact with one another. The were always ready to serve the needs and extra wishes of the travelers as well as provide valuable insight information. We looked forward to planning our next trip with Grand College Tours for the upcoming school year! 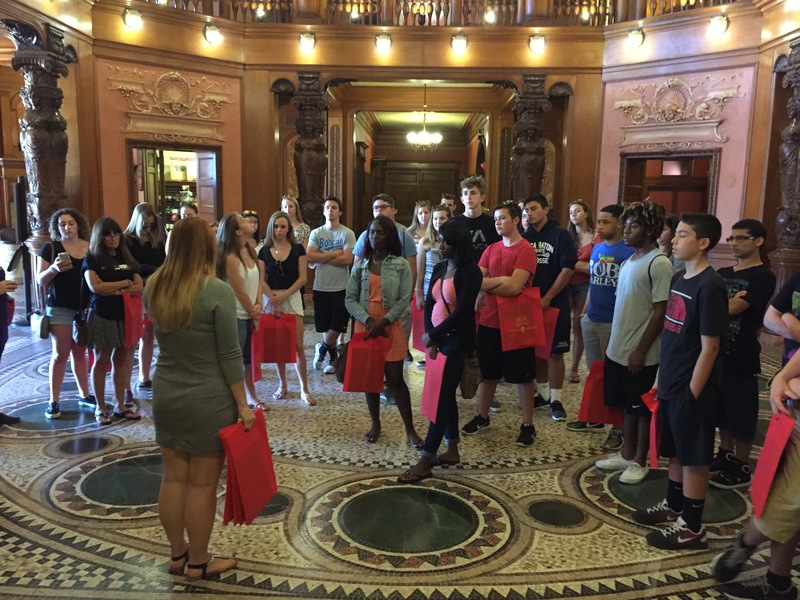 This fall we had fifty students participate on the Florida College Tour. The tour was organized from start to finish with put my mind at ease. This tour was jammed packed with public and private Florida colleges and universities. The tour also provided extra curricular night time activities that provided the perfect outlet for students’ energy. Every aspect of the tour including meals was well thought and provided a unique opportunity for students to experience what it would be like in college. Overall I have heard nothing but positive feedback from students and families from this past field trip. I highly recommend this tour group for any public or private school who is seeking a tour group that will take charge, plan, and execute every details. I just got back from my tour and I had so much fun!! I loved seeing all the different types of schools this state has to offer- the big schools, the small schools, the private schools, the public schools, the liberal art schools, the newer schools, and the older schools! We also stayed at great hotels over night and “lived” on a comfortable, air conditioned coach bus during the day. Seth did a great job of planning this trip for us… All the tours at the colleges we visited were very informational and the evening activities were really fun! I’m glad I went on this tour as a rising junior because now I know exactly what my goals should be during my junior year in terms of test scores, grades and classes. If I didn’t go on this tour I would’ve missed out on seeing so many schools I otherwise probably wouldn’t have even known about. I wanted to take this opportunity to thank you so much for providing Harrison with a wonderful experience. He thoroughly enjoyed the trip. He made some new friends, explored the different colleges/universities, and figured out what he likes and does not like. I’m so glad that he participated in your program and had a fabulous experience. Thank you and your team for memorable trip. I wanted to take this opportunity to thank you and your staff for an outstanding three day nine college tour. Our students and familiar are still talking about what a fantastic experience this was for our Cardinal Mooney High School sophomore and juniors and how eater they are for us to participate next year. While there are other companies out there that put these experience together for schools, I can confidently say that I was extremely please that I selected Grand College Tours to partner with our college tour initiatives. You made the whole experience a real success for our participants, and they are all appreciative of the opportunity this trip offered them.